Wetherspoon's Order and Pay app is turning out to be a blessing in disguise for the customers. According to The Independent, Wetherspoon's Order & Pay app was designed for customers to pay for food and drink without going to the bar. However, drinkers quickly realised the potential of the app, which allowed them to ask friends to buy them a pint in any Wetherspoon pub at the touch of the button. People have been ordering drinks for their mates, even if they're not with them. "I've sent a round of drinks to a table if I couldn't make it to someone's birthday get-together, for example," said Lee. Micro blogging site Twitter is flooded with the users appreciating the Spoons app and even calling it the "greatest invention of the 21st century." "the wetherspoons app is the greatest invention of the 21st century," a user wrote. Another user tweeted, "Someone get the wetherspoons app and order drinks to my table pls." 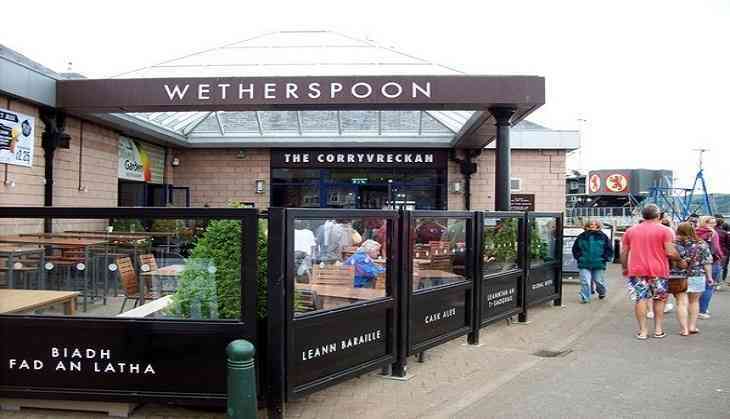 "Weatherspoons App has changed my life," shared another user. Weatherspoons App has changed my life. The app allows people the opportunity to buy drinks for their mates across the 956 Wetherspoon's pubs in the UK. And the company is more than happy with how the app is being used, as spokesman Eddie Gershon explained, "We are delighted that our order and app pay is being used by people to buy food and drink for their friends in a Wetherspoon pub thousands of miles away. It must be great to be in one of our pubs and have a drink delivered to your table by a good-hearted friend who isn't even with you." Vin Diesel, Deepika to rock to Nucleya's tunes!